1. 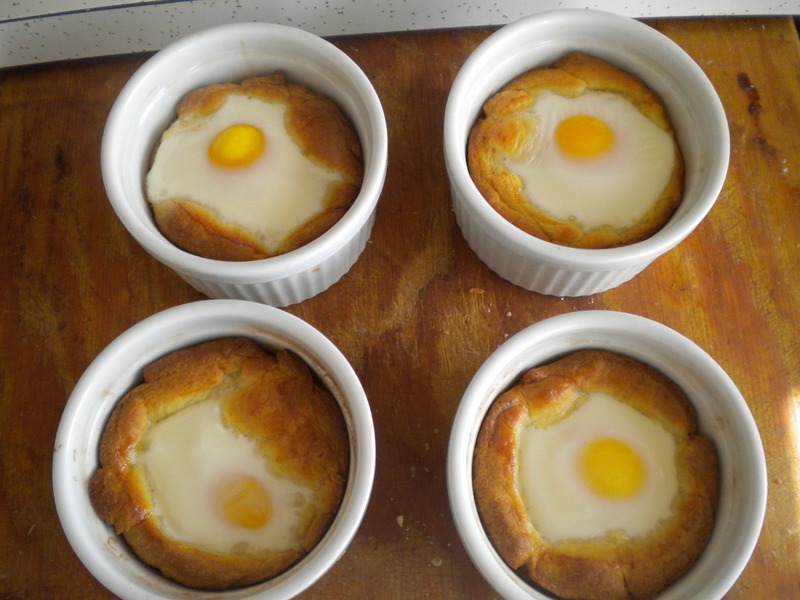 Grease your ramekins with a little butter or cooking spray. I use butter because I use butter in every instance that I can. Butter is one of the most amazing things on Earth, but I digress. 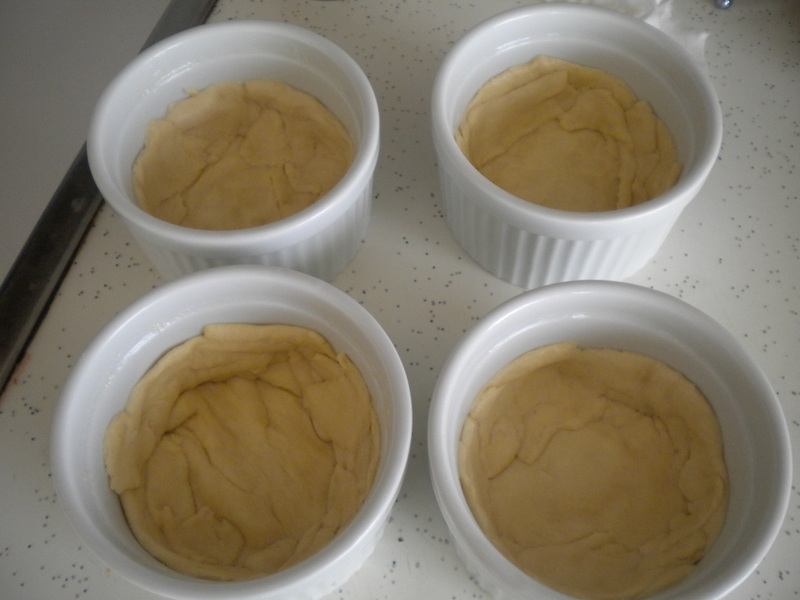 Place the dough for two croissants in each ramekin, pressing dough along the bottom and up the sides. 2. 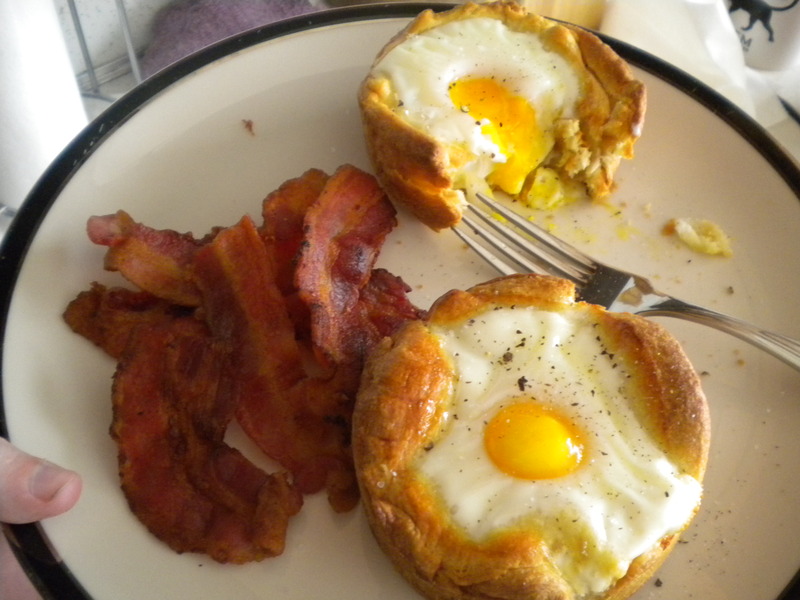 Crack an egg in each dough nest. 3. Cook at 375 degrees for 15–20 minutes. 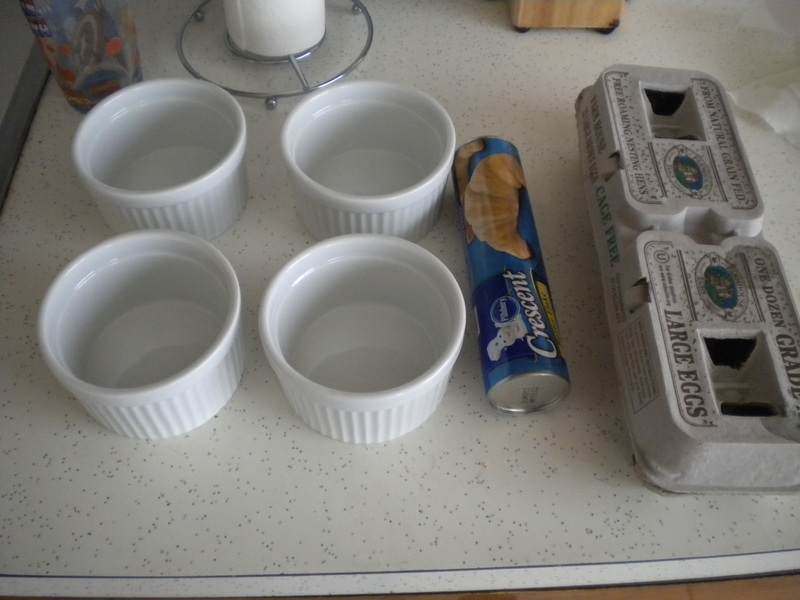 Place the ramekins right on the wire rack, like a boss. 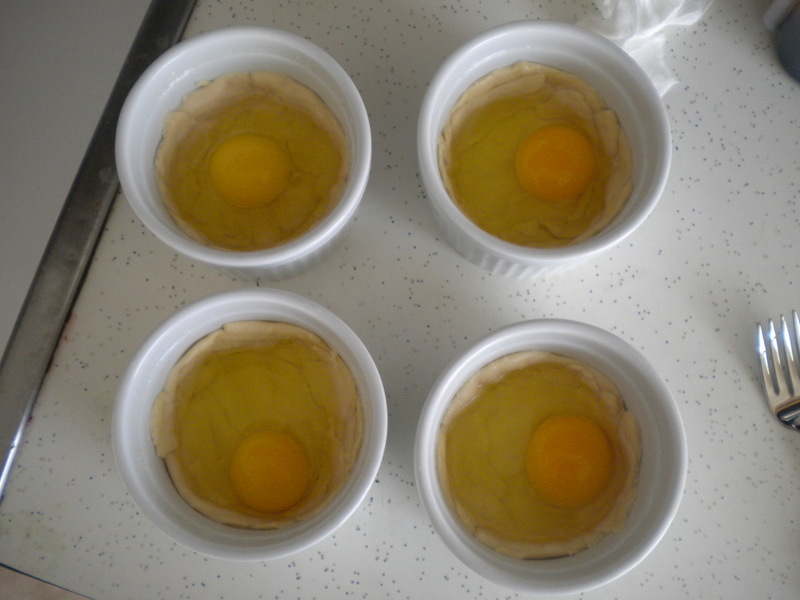 I watch them carefully to make sure I don’t cook the precious yolk too much. 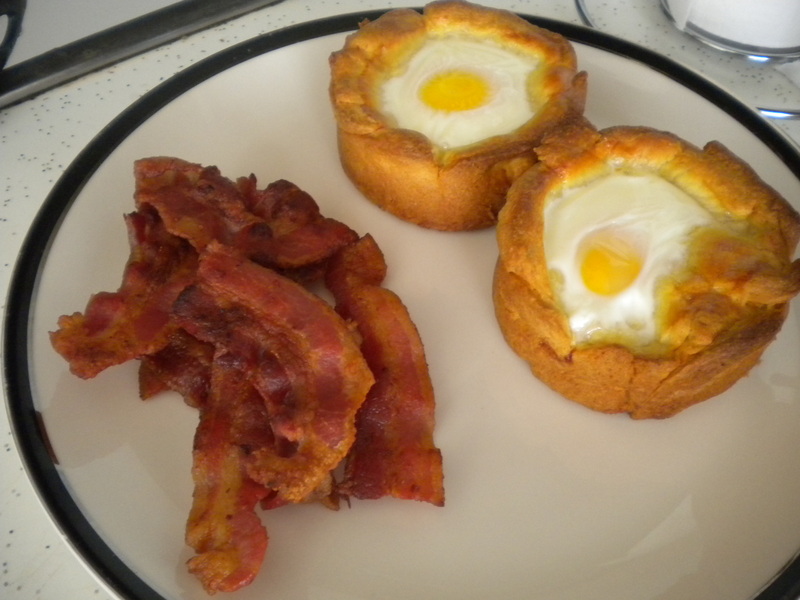 I like my yolks nice and runny. I’ll usually cook them at 375 for 15 minutes, then lower the temperature to 350 for a few minutes, then broil for a few seconds to cook the white part of the egg. Once you take them out of the oven, they’ll slip out of the ramekins very easily with a little prodding from a butter knife. 4. Garnish with a little salt and pepper and eat that beautiful beast.